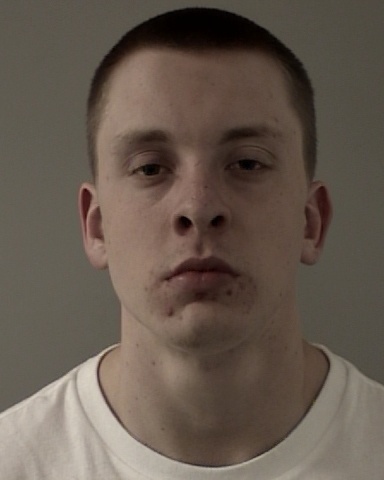 On 05/15/15 at about 2:30 PM, a Deputy John Gray was flagged-down by a CVS employee regarding a theft in progress. The employee pointed towards a White Male Adult standing next to a Red Mitsubishi Eclipse in the parking lot, telling the deputy the individual was stealing alcohol from the Cameron Park store. The male was accompanied by three other persons, and seeing the deputy, got quickly into the car. Deputy Gray contacted the group. The person the employee was pointing towards was identified as 21 year-old Samuel White of Sacramento. With him were 23 year-old Rudolph Beltran of Sacramento, 23 year-old Jasmine Wasi of Elk Grove, and another 16 year-old female juvenile from Rancho Cordova. All four were detained pending a theft investigation. Checking Samuel White for weapons, Deputy Gray located seven bottles of alcohol concealed on his person. He removed a bottle of Crown Royal, a bottle of Elijah Craig, a bottle of Gentleman Jack, and four bottles of Smirnoff Vodka. The bottles were in White’s waist band, crotch area, and down his pant legs. When taken into custody, White thought he’d be released with a citation due to the passage of Prop 47. Deputy Steve Coburn arrived to assist. 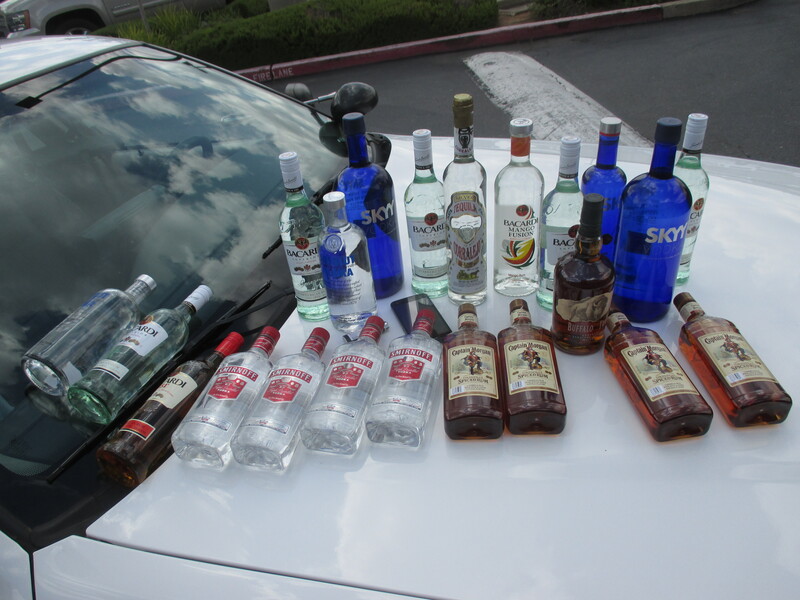 Searching the vehicle, twenty-two more bottles of alcohol were located in the trunk (see attached photo). A backpack inside the car also contained numerous bottles of alcohol to include 151 Bacardi, a bottle of Captain Morgan, more Crown Royal and Gentleman Jack, and three bottles of Sailor Jerry. The alcohol in the trunk appeared to have been stolen. During the investigation, deputies learned the group had formulated plans on how they were going to steal alcohol. They would go into a store with baggy clothing or the backpack, fill their clothes or the backpack with hard alcohol, and unload the stolen property into the vehicle. Once unloaded, they would start again at another store. Also located inside the backpack was processed marijuana. More processed marijuana was found in the glove compartment of the vehicle. Samuel White and Rudolph Beltran were booked into the El Dorado County Jail for shoplifting and conspiracy. 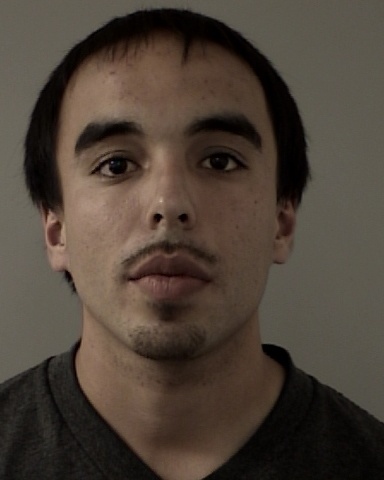 Beltran received an additional charge of possession of concentrated cannabis. 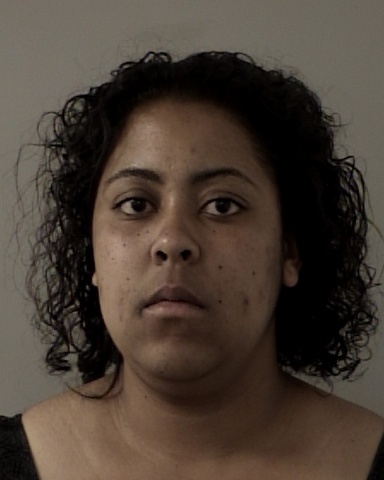 Jasmine Wasi was also booked for possession of concentrated cannabis. The vehicle was towed and the female juvenile was released to a parent. Due to the passage Prop 47, the deputies could not charge the suspects with Burglary (entering a building with the specific intent to commit a theft – a felony). Under Prop 47, even though there was pre-planning and multiple thefts in the same day, deputies could only charge them with shoplifting or petty theft under new California Law. Bottles from the suspect vehicle (the bottles found inside the backpack and on Samuel White are not included in this photo).